Free Rugged Ridge AC Vent Pod with USB & Switch with Quadratec LED Auxiliary Lights & Mounting Brackets ! Round LED light kits combine the power of individual 10W American made Cree LEDs that exhibit super bright white 6000°K output that’s close to natural sunshine. Our kits with custom wiring harness are virtually plug-n-play providing quick and easy installation without all the hassle. We also offer lamp kits with pair packs, wiring and mounting brackets. Industry standard Deutsch-style connectors feature weather tight seals for years of trouble free service. The durable, powder-coated die cast aluminum housings are built to endure aggressive off-road use and feature stainless steel hardware. Assemblies have an IP 69 waterproof rating and are available with 10° driving beam or 30° flood beam pattern. The 10° narrow beam is best suited for driving at higher speeds that require longer projection with less peripheral lighting. The 30° flood beam pattern provides more peripheral lighting and is well suited as a multi-purpose light and for off road trail riding at lower speeds. 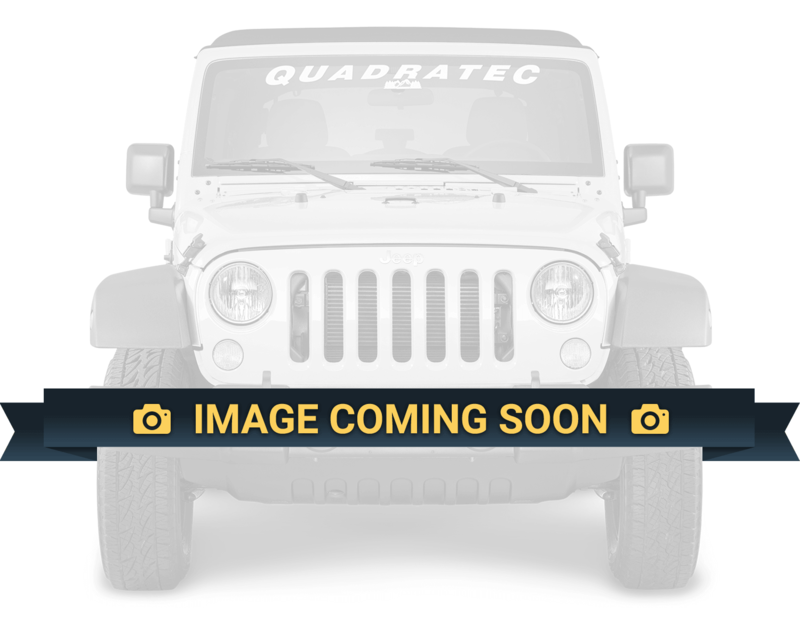 Includes Quadratec’s 3 Year Limited Warranty. Lamps are not legal for use on public roadways and are intended only for off-road use. Windshield Light Mount Brackets for Wrangler TJ mount easily and solidly to the windshield hinges. Each bracket is custom designed for an exact mount and includes a rubber gasket to protect the paint during installation/removal. Requires no drilling or modifications , they easily bolt into existing mounting holes in the Windshield Hinges. Sold in pairs. AC Vent Pods simply replaces your factory AC vent. Placing auxiliary switches in arms reach makes it easy to turn on those off road lights, winch or any other power required accessory.